This might just be one of the coolest toys out there right now. A RC tank that shoots bbs. The 16 inch tank holds up to 50 6mm bb bullets. The tank also makes realist sounds and actually has recoil action when the cannon shoots. The tank is a replica of the M1A2 USA battle tank. The turret of the tank rotates 300 degrees on the horizontal plane. The tank can move forward, backward, and spin to change direction. The gun can be aimed up and down about 20 degrees. The tank itself has a controllable range of about 30 feet, and the cannon has a firing range of about 9 feet. You can expect the battery to last about 20 minutes off each charge. The tank has no problem moving up hills with a 30 degree incline or less. Whether you’re buying this for yourself or as a gift it’s a heck of a lot of fun. 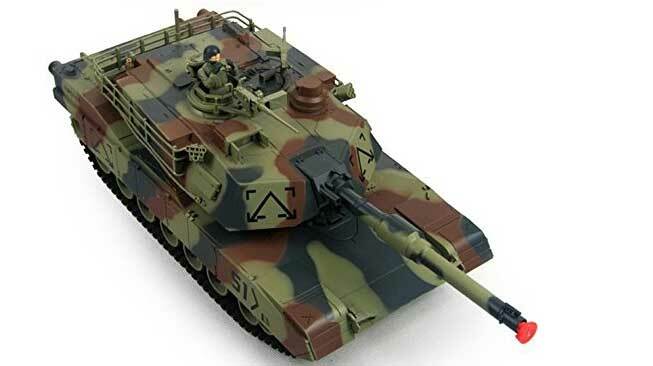 An rc tank that shoots bbs is way more fun than just a standard remote control car or truck. 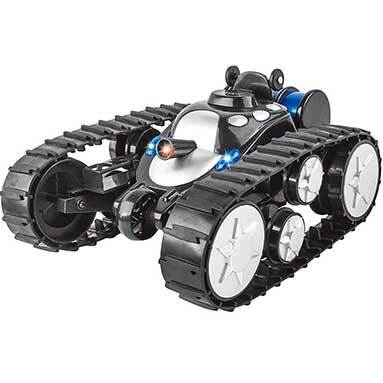 The tank measures about 16 inches long, 6 inches wide, and 5 inches tall. The company that makes the product does recommend the operator be 14 years old and up, so it might not be the best for younger kids. If you are buying it for a younger kid maybe just don’t let them have bbs for the cannon until they’re older. 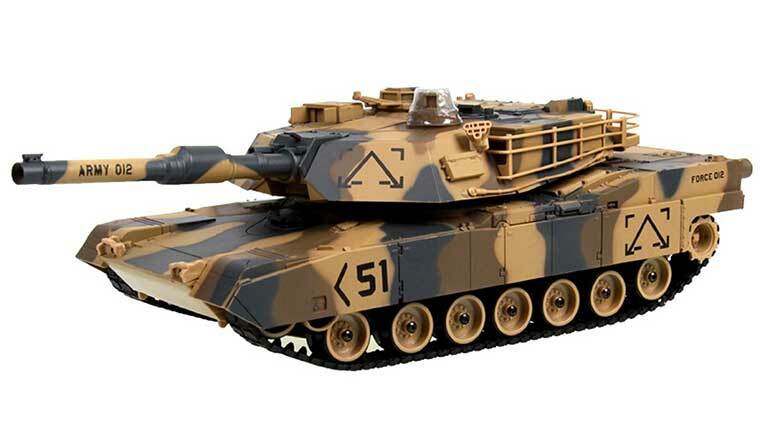 You can find the tank on Amazon in multiple colors (at least when this post was written). If you have any questions leave them in the comments.